Boston Metro - Boston GreenFest - Aug. 16-18, 2019 - FREE! Boston's most widely read newspaper and is the Premier Media Sponsor for this year's Boston GreenFest. We have been fortunate to be partners with the Boston Metro since the festival's inception. 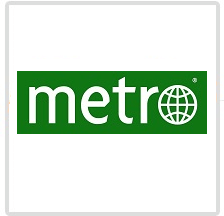 Boston Metro is an eco-conscious organization. It prints on recycled newsprint and there are specially marked recycle receptacles throughout the MBTA stations to increase its recycle rate. It often presents information about sustainability and green initiatives. In its role as Premier Media Sponsor of the 10th Annual Boston GreenFest it is helping the community get a jump start on becoming green.